Long-Sharp does some things that you might expect a high-end Downtown gallery to do. It showcases works, primarily prints, by Pablo Picasso, Robert Indiana, and Andy Warhol among others. But the gallery has also exhibited the paintings of Nelson Mandela, portraying the Robben Island prison where he was captive for 27 years. The gallery has showcased the work of locally based artists such as Constance Scopelitis and Amy Kirchner. 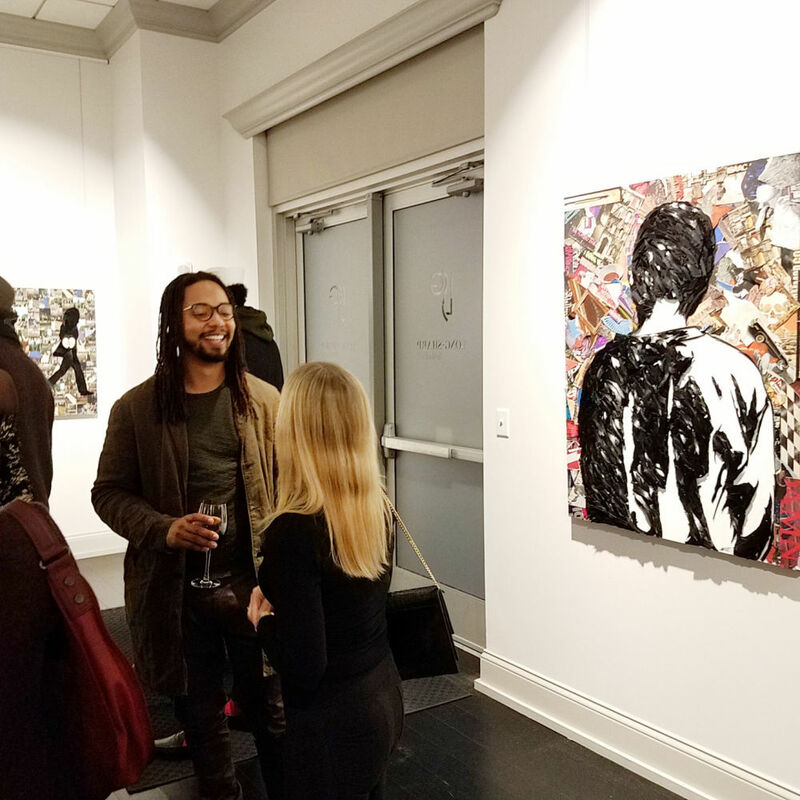 The gallery recently exhibited the work of “Vinyl Record Artist” Lobyn Hamilton. And on Aug. 24, the New York location of Long-Sharp had a pop up show featuring the painted planks of Lobyn’s father Clayton.